Citric acid, natural and artificial orange flavor, malic acid, lecithin, acesulfame potassium, sucralose, FD&C yellow #6, FD&C Red #40. Mix 1 scoop of Ultimate Orange in 8-10 fl oz of cold water. For best results, drink Ultimate Orange 30-34 minutes before your workout. Jun 21, 2017 ULTIMATE ORANGE Pre Workout is Back from the Dead! The Original Preworkout Is BACK! Packed With DMAA, Ephedra And Caffeine! This Ain't Your Daddy's Preworkout! Increase Muscle Mass and Strength! Perfect Focus & Blistering Energy! For the best information on this epic new DMAA-powered pre workout, see our Ultimate Orange blog post! This Ain't Your Daddy's Preworkout! 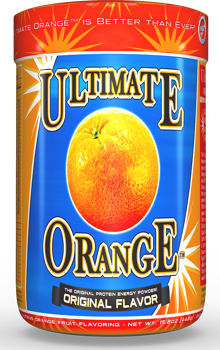 Each retro branded 16oz Ultimate Orange container delivers the intense power you remember, in the original Orange Flavor you love! When you pop open the can and mix your first drink, a massive flood of energy will surge through your veins in just minutes. 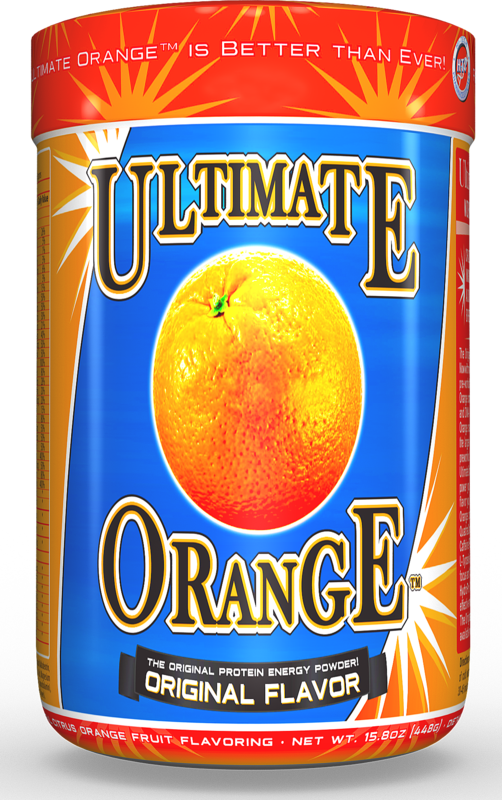 Just one serving of Ultimate Orange combines the explosive formula of QuadraCarb, Taurine, DMAA, Ephedra and Caffeine! In addition, we stacked Focus-In with L-Tyrosine to provide the mental focus needed to blast through sticking points and workout barriers. Even more we've added 13g of America's #1 selling protein - HydroPro Whey, ensuring immediate and effective muscle recovery. Don't waste your time and money on so-called preworkouts that fail to deliver. Ultimate Orange - The Original Workout preworkout, is back and available now!